Standing at the furthest corner of the Rogacki food court, quietly poring over ledgers and checking off orders, a semi-permanent queue forms by Dietmar Rogacki's side. I join it. I'm here, in this old school Berlin food market after some searching, to learn about eating fish in Germany. 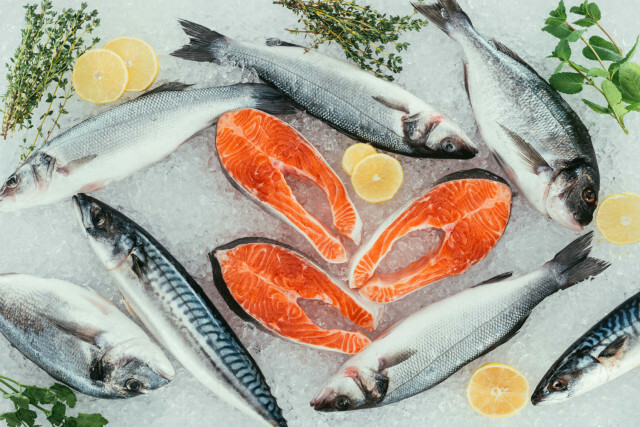 When faced with city-centre supermarket offerings, German seafood produce can be less than tempting – often frozen, and at times limited. Eating out, breathtaking sushi comes with an equally eye-watering bill, while cheaper finds may leave you wishing you'd never looked at a freshwater eel. Trawling through online threads and expat groups, my confusion only grew. “The TAKA Fisch House at Kottbusser Tor (in Berlin) have the only fish worth buying,” someone advised. According to another thread, the mysterious Fischparadies market in Schöneberg could satisfy my maritime cravings. Five out of 10 Germans eat fish at least once a week, so I knew I must be on to something. This is, after all, the land of the Frishbrötchen. But the more Germans I spoke with, the more I heard about Rogacki. Rogacki (pronounced Roga-z-ki, in line with the family's East Prussian origins) is a green latex ode to 1970s West Berlin. Visitors to the 91-year-old institution are today greeted by a kaleidoscopic array of cheese and charcuterie before reaching Rogacki's heart: a thrumming fish emporium. Gleaming displays are stocked with smoked and fresh fish, backed by full tanks and, beyond view, cavernous fish smoking facilities dating back to 1932, where customers can still smoke their own catch. It's clear that Rogacki's current don runs a tight ship, though a new matter seems to require his attention every 10 minutes. When we sit down to speak he is self-effacing but direct. “It's incredibly difficult finding new employees,” Rogacki says. “No one wants to be an apprentice in fish, or learn from a butcher or baker. All anyone wants to do now is work in I.T.” “[Berliners] make start-ups… not airports”, he concludes, in a dig to Berlin's ill-fated new airport building project. I ask how Rogacki has been affected by changes in environmental law or attitudes. “The Germans can only be changed by the law. If we've always taken a left turn, why would we take a right?”. The public's bigger eco hang-up appears to be the plastic bags in which the fish are packaged, which, coincidentally, is a dictate of German law. As we finish speaking, the market is well and truly humming; senior Berliners line up to collect their weekly Räucherfisch (smoked fish) and younger groups are cracking into oysters. 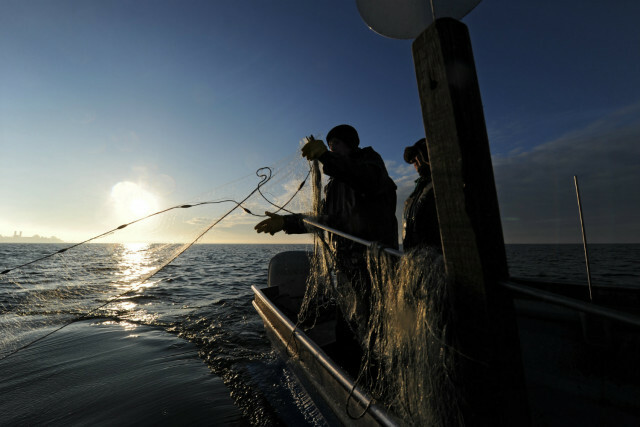 Germany's fish consumption has proceeded unfazed by its relatively small coastline. With Dietmar Rogacki calling Frankfurt airport their “biggest harbour”, the possibility of finding decent fish in the hinterland should be easy. I'd also recommend trying Frishbrotchen – the much-loved fish sandwich. If you're on an urgent mission for unpretentious fish then the Nordsee chain, with nearly 300 outposts across Germany, could be your first stop. Their simple menu – deep fried shrimp, redfish and plaice, salmon fillet, hake fried in a potato batter – may provide just the level of trash you've been craving. Freshness and quality vary, but the principal drawback for the chain's restaurants are their almost universally unappealing shopping centre locations. Located on a floating log cabin in Müggelspree, eastern Berlin, the unique SpreeArche is well worth the trek. Once you've made it to the secluded Köpenick jetty, which you reach on foot via the 1920s green-tiled Spreetunnel passing beneath the Müggelsee itself, guests are ferried over. Arriving one evening last August the only dishes left on the popular menu were matjesfilet (pickled, but not aggressively tart, herring) and various kinds of smoked fish: forthright, fresh and al fresco. Gird your loins for a heaving crowd and unfriendly service, but as with many unsmiling eateries across the nation, what's lacking in charm is made up for by indisputable quality. The octopus is best fresh off the grill, otherwise the fish soup is a dependable favourite. Closer to shore, the team behind Meersfrüchte are wise to the importance of good-quality produce, pledging not just fresh fish that is free from preservatives, but a menu almost entirely composed of fish processed directly on-site, accompanied by regional vegetables. The bare wooden tables and dubious aquatic artworks restate Meersfrüchte's case: the fish here is the main event. An altogether glossier affair, try to at least glance through the eclectic menu (avoiding the risotto) before making a beeline for the lobster and oysters. Some dishes are a departure from German fare, pairing black cod with pak choi and oyster sauce, but beware of gilding the lily – quality should speak for itself. Head to Brücke 10 near the Landungsbrücken in the St. Pauli district for a culinary favourite of Germany – the Fischbrötchen (even enjoyed by the Chancellor as you can see above). Here you can enjoy a crispy roll stuffed with shrimps. There's even a World Fischbrötchen Day (Weltfishbrötchentag) every May which brings up some creative designs.